Upgrading to a small and economical car is about more than just saving money, it is about making a statement. The Italian-designed 2016 FIAT 500 and the new 2016 Nissan Juke certainly make an impression but their design statements say very different things. We put both models against each other in the following comparison to see which one will provide you with the better value for your money. Take a look at what our research found in the information below and then come see why the FIAT 500 has remained an icon across the globe for nearly 60 years. We have a huge selection of new 2016 FIAT 500 models for you to choose from and we can’t wait to show you at FIAT of Tacoma. It’s hard to imagine a bigger design difference between these two bold and outstanding vehicles. While the 2016 FIAT 500 holds true to its classic design that stands apart from any crowd with Italian flair and sophistication, the 2016 Nissan Juke takes a new approach to standing out. Both the 2016 FIAT 500 and the 2016 Nissan Juke provide unique interiors with body color details. 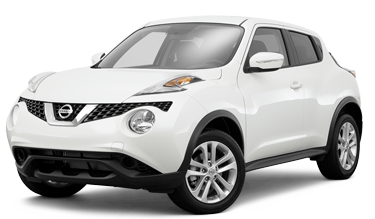 However, despite being significantly more expensive, the Nissan Juke just provides a little extra room for passengers and cargo. Take a seat behind the wheel of a new 2016 FIAT 500 and we expect you will be far more impressed with the Italian design and refinement throughout the interior, which includes subtle features like a leather-wrapped steering wheel and more. The higher price tag of the Nissan Juke doesn’t afford such features and instead introduces the model with a urethane steering wheel and leather available as an additional upgrade. This is just a preview of the design advantages you will enjoy in a new 2016 FIAT 500 so come see us to find out more at FIAT of Tacoma, where we are proud to serve Kirkland, WA. The difference in performance between the 2016 FIAT 500 and the 2016 Nissan Juke isn’t really found in terms of power, but in size. While the 2016 Nissan Juke is a small car that that has only recently come to the scene, the new FIAT 500 is the cool, classic, and fun small car that has stood the test of time. As the ideal small car for the big city or a road trip, you will find that the 2016 FIAT 500 is easier to maneuver thanks to a turning radius nearly three feet shorter than what you get with a 2016 Nissan Juke. The new FIAT 500 provides plenty of power to have fun with while safely passing and merging. It also achieves some of the best fuel mileage of any car on the road but the new Nissan Juke guzzles down the fuel to produce far more power than most people need or can enjoy on city roads. If it is performance you are looking for, we recommend taking a look at the 2016 FIAT 500 Abarth, which is built to thrill for far less than the Nissan Juke performance version. 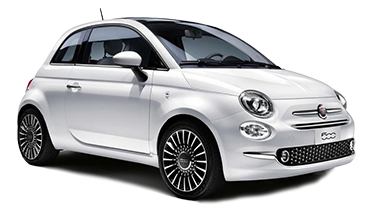 Ultimately, you should really get behind the wheel to experience the performance that comes with a 2016 FIAT 500 so schedule your test drive at FIAT of Tacoma serving Bellevue, WA. There is nothing more important than your safety on today’s roads. You’ll find modern safety features like anti-lock brakes, airbags, and more on both the 2016 FIAT 500 and the 2016 Nissan Juke but a closer look reveals some important safety differences. When the independent experts at the NHTSA subjected both of these small cars to a barrage of demanding crash tests, the results were clear. In the event of a side impact, the 2016 FIAT 500 scored a 5-star safety rating for the driver while the 2016 Nissan Juke only managed a 4-star rating. In fact, the overall frontal crash score for the new Nissan Juke was only 3 stars. When you take to the road in the new FIAT 500, you are protected by over fifty different standard and available safety and security features. The computer-designed steel safety cage protects occupants not only with strength, but it also absorbs and redirects impact energy. Find out more about the safety advantages that come with the new 2016 FIAT 500 when you come by for a test drive at FIAT of Tacoma.